Aoife is a relatable protagonist who wants to decide what she does with her future, instead of allowing herself to be roped into marriage with a disagreeable gentleman. She is intelligent and understands how to make the most out of what one has, but while she could easily survive elsewhere, her family ties hold her strongly in place. The story began to deviate from the original and I was so excited… just to be smacked back into the regular story. Unfortunately, while Aoife is a great protagonist, the rest of the characters in the story don’t seem to have personality, and they don’t grow throughout the novel. While one might expect that a being such as Rumpelstiltskin likely doesn’t have many manners because he hasn’t spent a lot of time around people, it seemed that the duke was constantly acting like a petulant child. Luckily, the duke does begin to realize that changing his behaviour does get him the correct attention he craves. All said, I quite enjoyed this book and when I began it I was almost late to ballet class because I couldn’t put it down. Good read, and one I feel that reluctant readers who enjoyed fairy tales might really like. Bonnie grew up a shy, quiet girl who the teachers always seated next to the noisy boys because they knew she was too afraid to talk to anyone. She always had a lot she wanted to say but was too afraid to share it for fear she might die of embarrassment if people actually noticed her. Somewhere along the line, perhaps after she surprised her eighth grade class by standing up to a teacher who was belittling a fellow student, she realized that she had a voice and she didn’t burst into flames when her classmates stared at her in surprise. Not long after that, she began spinning tales, some of which got her into trouble with her mom. 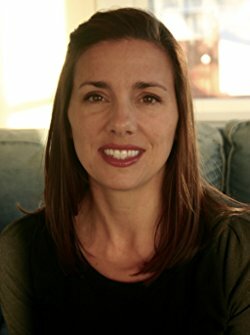 Whether persuading her father to take her to the candy store as a little girl or convincing her parents to let her move from Los Angeles to Manhattan to pursue a career at eighteen as a ballet dancer with only $200 in her pocket, Bonnie has proven that she knows how to tell a compelling story. Now she spends her time reading and making up stories for her two children at night. By day she is an English teacher who never puts the quiet girls next to the noisy boys and works hard to persuade her students that stories, whether they are the ones she teaches in class or the ones she tells to keep them from daydreaming, are better escapes than computers, phones, and social media.